Spectacular luxury home with finishes designed for the million dollar price point! This four bedroom, three bath home is offered at an unbelievably low price. 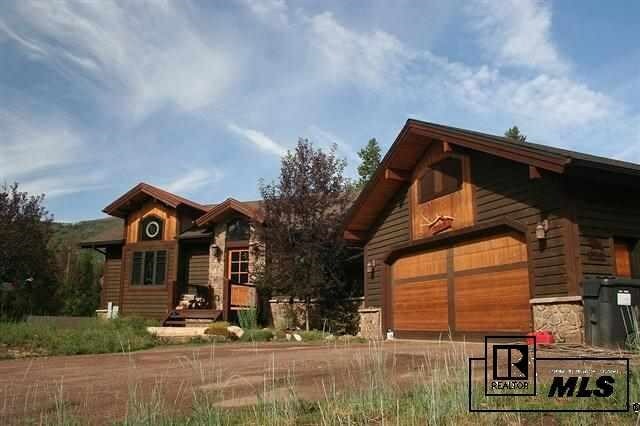 Then home enjoys privacy in a beautiful alpine setting as it backs onto open-space and the larger private acreage beyond provides the feel of your own mountain ranch as you enjoy uninterrupted valley views up into Greenridge. The home has a spacious floor plan, beautiful custom cabinetry and built-ins, granite counters, lower level family room with wet bar, built-in wireless router, central sound in main living areas, deck and garage, central vac, 10ft ceilings, designated office, custom trim and generous 2-car garage. The main level master has a gas fireplace and the bath offers a steam shower and soaking tub set in Travertine. The living area opens on to the back large deck which offers a perfectly tranquil setting to enjoy some fresh Rocky Mountain air.